Travelling alone can be really difficult, especially if you are on a solo flight. 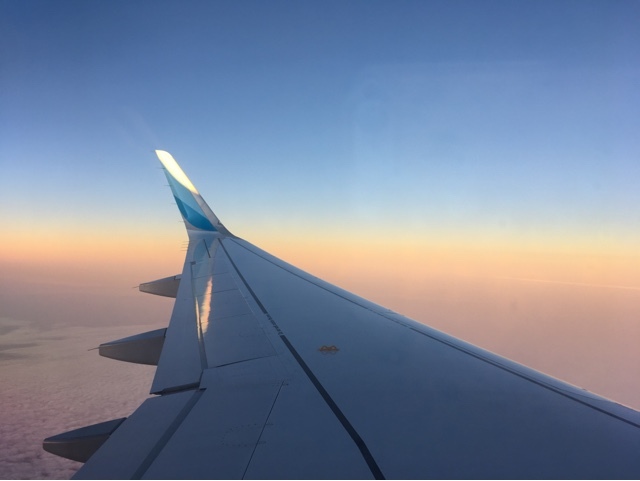 I know I certainly struggle to fill my time sometimes on flights, so I thought I would compile this little list of things that I like to do to give you some ideas of things to take up some of your time if you get a little bored and restless like I do! I am not a good flyer anyway, the thought of having to fly backwards and forwards on my year abroad absolutely terrified me. It had been a few years since I had been on a plane before I first travelled across to Germany back in September and luckily I had my friend Louise with me, despite that I was still an absolute bag of nerves. Keeping busy on a flight helps me to spend less time worrying and if I can get sat down and straight into an activity it usually takes away the nerves pretty quickly! 1. Read guide books: I love guide books, especially the Lonely Planet guides, and on my way out to Germany I sat with my two guide books out and mapped out all the places I wanted to visit. Not only was it productive and actually helped me plan ideas for trips I wanted to do, it made me so excited to be reading about the country I was visiting! 2. Start a journal: My first ever year abroad journal entry was written on the flight and it's so strange now looking back at how nervous I was and reading all about how I was feeling. It's a great keepsake to look back on! 3. Order a meal: Yes, it may be expensive but reading the "menu" and eating the meal will definitely help pass the time. I personally can never eat much before a flight as I still get pretty nervous waiting around at the airport, so I'm always pretty hungry by mid flight! 4. Talk to the person beside you: Obviously exercise common sense here, but if the person beside you is alone too then you might just end up making a friend and the time will pass much quicker. They might even be local to where you are flying and can offer you tips and local knowledge for when you get there. 5. 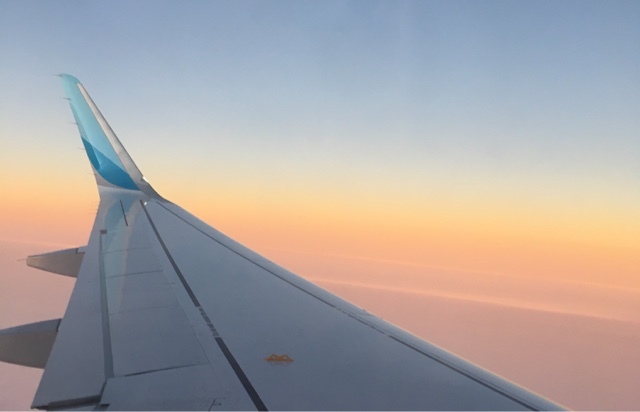 Look back at photos of your trip: You'll probably know how much I love photographs and looking back at memories by now, but I always find myself looking through the photographs I have taken whilst I am on a flight. It's so nice to look back at all the things you were able to do and sometimes you'll even find photographs you had forgotten you had taken. 6. Listen to a special flight playlist: I like to make a Spotify playlist that is the length of my flight so that I can plug my earphones in when I get on and don't need to fiddle with them till I get off. This is a particularly good idea if you are planning to nap on your flight and don't want to be disturbed. I try and put in a good mixture of current favourites and absolute classics to stop me from getting bored. 7. Think of blog posts: Most of my ideas for blog posts come when I am out and about, I might see something that makes me think of something else then think this would make a great post! Obviously I don't always have my laptop on me, so the idea will get jotted down in the notes section of my phone along with any sentences I come up with or even just bullet points. I've written most of this post on the ubahn before I edited it on my laptop. 8. Colouring: Now this isn't the most practical if you've got someone sitting beside you with not a lot of room, but I am a big fan of adult colouring books. I find it so therapeutic and you can get really lost in a picture, so it's perfect for if I am a bit stressed. 9. Plan ahead: It might not be everyone's idea of fun, but when I'm sitting travelling back from somewhere I like to think about all the things I have to do when I get home. That way I am not totally overwhelmed the minute I walk in the door, I've already thought about what needs doing and what can be put off till the morning. 10. Look out the window: I can totally whittle away fifteen/twenty minutes here and there by just staring out of the window. I watch the whole of take-off and landing anyway just to make sure everything is going ok but some of the most incredible sunsets and views are out of a plane window. I always try and book a window seat because it's my preference, I don't mind paying a couple of extra pounds to be comfortable on the flight, especially if I am flying alone. Honey you forgot watching movies, most entertaining during long flights! I always try to catch up on my fashion magazines on flights (which sounds so... shallow). I justify it by saying that I only read them on flights/at the beach. I think it's important to take things to do, especially since I've been caught on multiple international flights that had no seat entertainment systems!